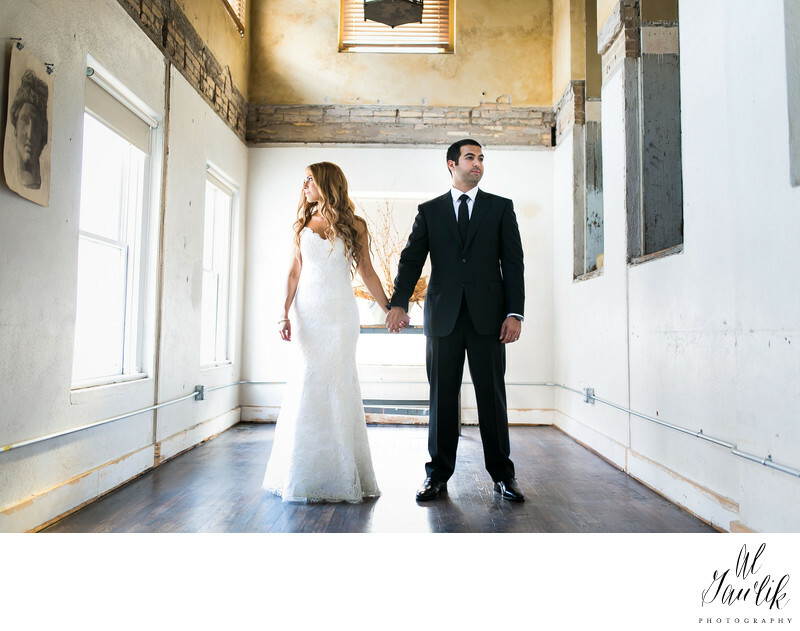 The building was then but the Bride and Groom are now. This has all the makings of the start of a wonderful story that people are going to be talking about years from now. The old time walls frame our lovely couple in a wedding portrait from their special day.